I have lived in the San Francisco Bay Area most of my life. I have a variety of interests. Intelectual ones ranging from software to Chinese language. I also like outdoor activities and new experiences. 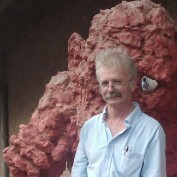 My profile picture was taken when I was in Beijing, at the site of a former munitions factory turned art district. One of the local creations is about to surprise me with its curiosity.